Series 9 Wet/Dry Electric Shaver Black plus Charge Station & Travel Case is rated 4.5 out of 5 by 83. 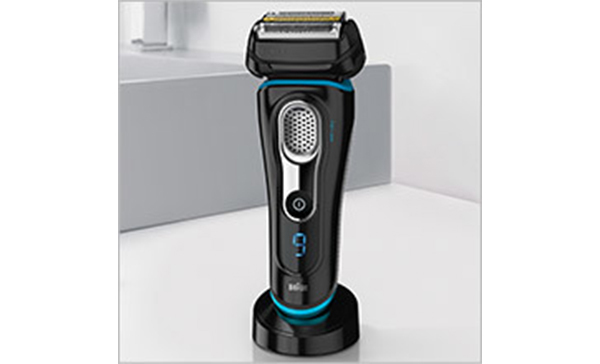 Rated 2 out of 5 by Phil from Average at best..... Bought this two days ago with a view that i would get back into an electric shaver for the first time in 28 years. The last one that i used was some average Remington single blade thing that did nothing more than comb the hair really... hardly cut any of them and i would need to use a blade straight afterwards to finish the job. 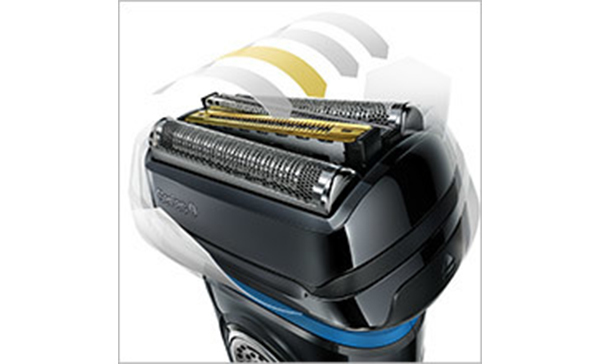 So i stupidly thought that todays technology of electric shavers would be much better and would actually shave properly. No. Used it for the first time today... and they are no different in 2019 then in the late 80's Shaved and can still feel the whiskers on my chin and face. Waste of money and waste of time. Rated 5 out of 5 by George83 from Braun shavers best for sensitive skin Quality product that provides a smooth shave with minimal irritation. Have used the other 2 major brands and Braun is best for my skin. The other 2 major brands and in particular rotary blades are very harsh to use. 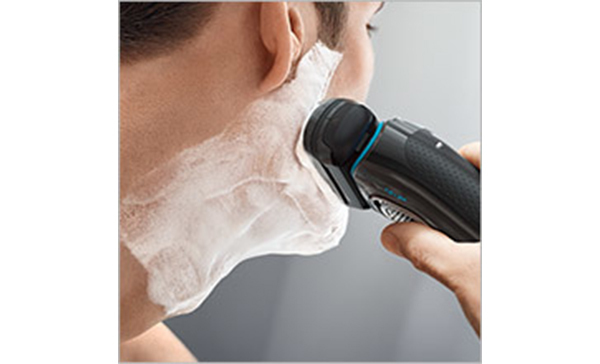 The shave to get good smoothness is longer than I would like for such an expensive machine. Holds a charge for a very long time which is terrific. My only gripe is that this and the other top brands are way too expensive to purchase and for replacement parts. 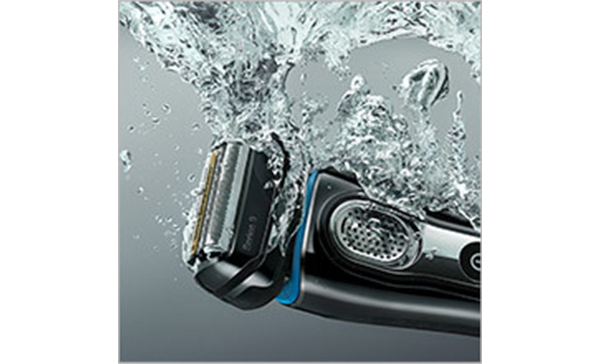 The good thing is that the Shaver Shop has sales quite often where such products are heavily discounted. Another quality Braun product. You can’t go wrong! Rated 3 out of 5 by Pweeta from Disappointed I hadn't owned an electric shaver for twenty years, and after doing my research decided to invest in a Braun Series 9. Initially, I had to learn the technique required to shave with it, and quickly relied on a wet shave for best results. Regardless of how much I tried to perfect the technique, and even after a couple of weeks, I was still disappointed with the results. I found I had to run over the same patch of skin 8 to 10 times in different directions to capture all the hair. This made it a time consuming and frustrating process. Eventually I gave up. I have sent back for a refund and have reverted to my razor. Rated 4 out of 5 by Endy008 from Good shaver I bought this about a month ago,so far so good,I only charged it once after I received the shaver,it’s been almost two weeks now and there’s still plenty power left,I shave every day morning so that means I don’t have to charge it all the time. Rated 5 out of 5 by msabri1 from Great Shaver I bought this for my husband and he loves it. The fact that he no longer gets cuts from your everyday shaver blade. The best part is that he no longer has sensitive skin as he no longer feels the need to shave as often as he used to. The battery is also long lasting so no need to put in charge all the time. 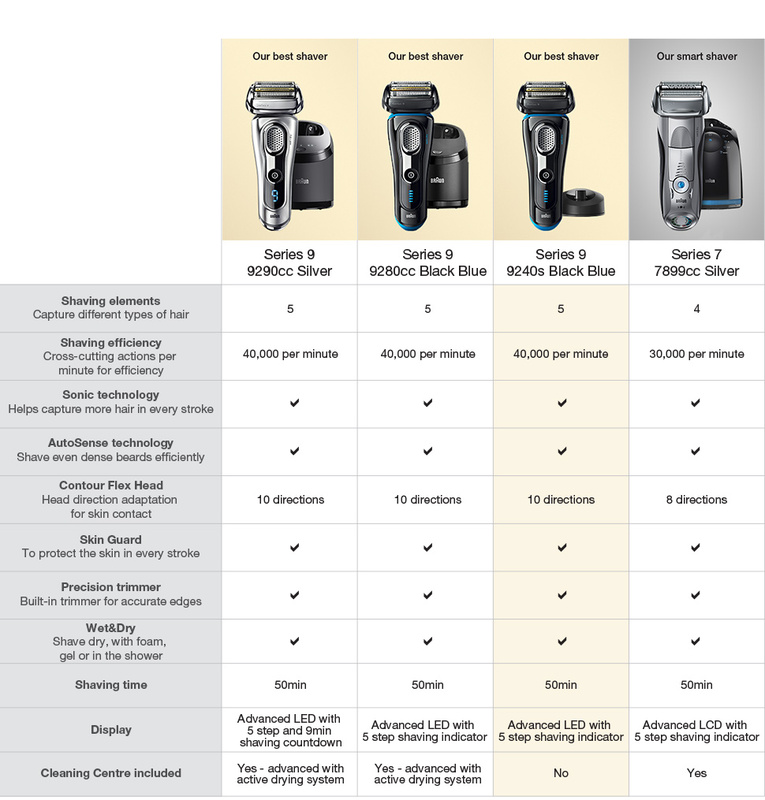 While it may be a little pricey than your average shaver, its worth every dollar spent, you won't regret it. My husband loves me and wished he had used this a long time before! 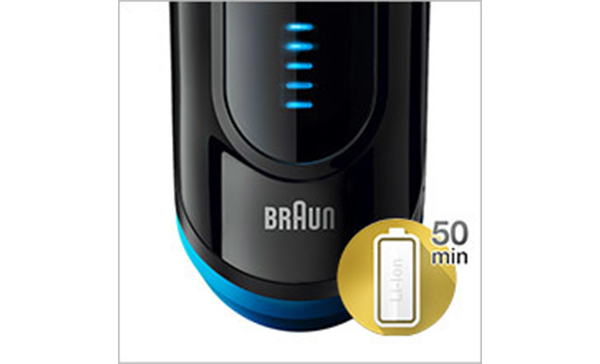 Rated 5 out of 5 by euphomate from Best Braun so far. I have been using this model series 9 Braun for three weeks now, it will be replacing a 2016 Series 7. 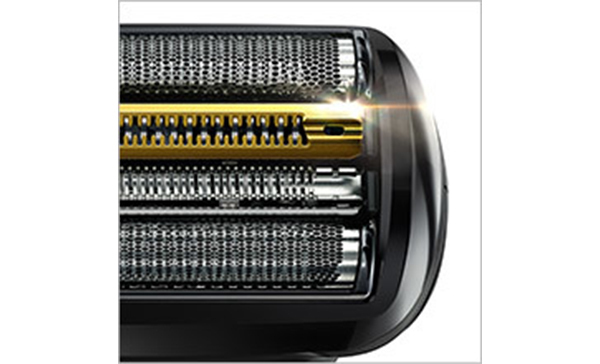 There is a noticeable improvement in shave closeness with the Series 9. 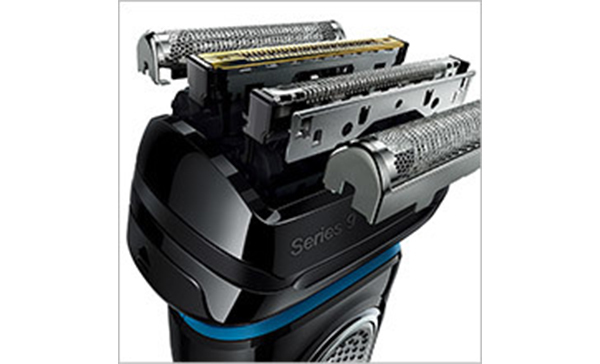 It's quieter, access to the trimmer is more logical, and generally a better shaver than the Series 7. Don't waste your money on models with cleaning stations. They are too expensive, and the Braun is very quick and easy to clean manually, just a rinse under the tap is all you need to do.